For almost an entire week, you have dominated the news. Your ominous presence has captivated audiences up and down the entire east coast. Your time in the spotlight is over so please take your high winds and pelting rains and roll on out to sea. We were prepared for you with our up-to-the-minute accurate weather reports. Your every move was watched and talked to death about on every station. I don't feel bad for you Irene that you didn't get the chance to torment like Katrina your horrific predecessor. So you've flooded many things-all are replaceable. You took out trees-a new one will grow in its place. You've knocked out power-no big deal. The power company will fix it within a few days. No power brings families closer together. It's the perfect opportunity to pull out those old game boards, candles and flashlights and spend quality time together. Only thing different now is my kids are drinking beer with us which makes the kiddie board games funny. LOL. The one thing you did that I found stunning, you shut NYC down. Maybe the one good thing that will happen, your flood waters will clean out the subway system and hopefully it won't smell like body odor and urine anymore when they crank that thing back up. Come on Irene! It's time for you to go. But could you blow a gust of rain soaked clouds towards Texas before you leave. I hear they need the rain. Have you ever just stopped and enjoyed the stillness for a moment? Or stopped and given thanks for the blessings you have? Or just plain stopped and let your brain relax from all the craziness that is your life? I know I don’t do that nearly enough. I was driving home from a family visit recently. It was a ten hour drive through beautiful scenery, which I couldn’t take in because of driving rain and road construction. As my two youngest daughters were watching movies in the back seat, I had plenty of thinking time. I knew it would be my turn to blog soon, and I wanted to come up with something witty, or at least interesting, or hell, maybe something that would make a reader want to buy one of my books. (See, I’m a conscientious blogger, really!) I had snarky comments about road construction, I had biting thoughts about lousy drivers, I even considered blogging about the beauty of nature. This blog is about none of those things. When I finally got home (through several traffic jams when I was only an hour away) and unpacked and relaxed a little, I went online to check my Facebook page and see what I’d missed over the week I’d been away. While I was scanning through my friends’ messages, I saw that a patient who had been in the hospital on the same floor at the same time as my daughter had passed away. With a full time job, a wish to keep writing, three very active daughters, and a husband who’d like to see me every once in a while, I’m pretty busy. Even when I’m not working or running my children hither and yon, I’m busy cooking, cleaning, doing laundry, and planning what I have to do next. Sometimes I think my brain resembles that of a mouse on crack. I’m never still. I never stop. Well, I did today. For a few moments this morning, I stopped and considered how very lucky I am. I don’t care if you believe in God, a higher power, or just the luck of the universe, sometimes you just need to offer up thanks, because no matter how awful you think you have it, it doesn’t take much to see someone worse off. I am so damn blessed, and so very thankful for not only the joys, but the sorrows which have made me stronger. So today, take a minute and just stop. Give thanks if you wish, contemplate the universe, or just enjoy the stillness. You’ll be glad you did. In the week following the riots in England every news report is filled with how Britain is broken, young people are doomed and unless we bring back corporal punishment then we are all going to hell. The news reports are full of recaps of the violence of those nights and they are rolling out every politician, journalist and ‘expert’ to tell us why it happened. In the face of all this negativity you could be forgiven for believing the hype and getting depressed and angry as hell and for a while that’s exactly what I did. Then I saw the evidence of community pride uncrushed, people rallied round to clean up, started funds to help those who needed and generally put two fingers up to those who let greed and bloodlust sweep them up. It made me think about other people who inspired me in small ways or great. Not movie or pop stars, few of whom deserve the term ‘role model’, but everyday folk just getting on with their lives. A friend who took in a child when he lost his mother, even though money and space was tight. A fellow author who lives with an illness that terrifies most of us and who has become an advocate against that fear. Several friends whose partners are still fighting a war that politicians would like us to forget. A woman who has survived cancer, not once but twice and defiantly lives on. A friend who had major brain surgery and lived to joke about it. A family who tragically lost a child but made sure her death to changed things, so it will never happen to another. I am full of admiration for each and every one. They make me want to be better and that is a very special gift. It's time to come out of the closet and admit it: I'm a sucker for summer festivals. And they're everywhere. If there's a small town that doesn't have one, I'd be surprised. Every weekend, a different town, a different vegetable/fruit/music style/folk art/ historical event celebration. Want to celebrate the tomato? Go to Pittston, PA. Like potatoes? Then Potato Days in Barnesville, MINN is the place to be. Around here, we have the Naples Grape Fest coming up and have just finished the Phelps Sauerkraut Festival. The latter has a great parade (my daughter marched in it this year) and lots and lots of sauerkraut. The former has miles and miles worth of vendors and food, which, to me, is the most important part of any festival. Really, that's why I go. For the food. Sure I like to see friends I haven't seen in a while and yes, I do shop the booths for the folk art and those wonderful "hippie" dresses, and I'm absolutely thrilled when the libraries have a bag sale, but when push comes to shove? I'm there for the food. Yeah, I'm a sucker for summer festivals. If we're on vacation and go through a town that's having one? We stop. Doesn't matter if we just ate or if we're in a hurry, we stop. For food. 'Cause, after all, what's one more Belgian waffle or fried dough between meals? So am I alone in my love of these ubiquitous summer festivals? Which one is your favorite? Are you like me -- a glutton for the food? Or do you go for some other reason? Are there other reasons? PS. Put links to your favorite festivals in the comments. Who knows? I might be traveling through your town someday and need a corn dog fix! PPS. SERVICES RENDERED releases on August 24th. I put a blurb and the cover up on the sidebar so if you're reading this through a reader, click through and take a look. Discover realms of fantasy and delight, or reshape the present with unforgettable characters. Whether shapeshifters or mere mortals, our heroes and heroines are sure to captivate you. Take a step back in time. Begin first with Tyler Wilkins' heartwarming story in Keeper of the Spirit. Cole Wilkins, the youngest brother, will shine in Keeper of the Dream. You'll laugh and cry with Trevor, the oldest brother, in Keeper of the Heart. 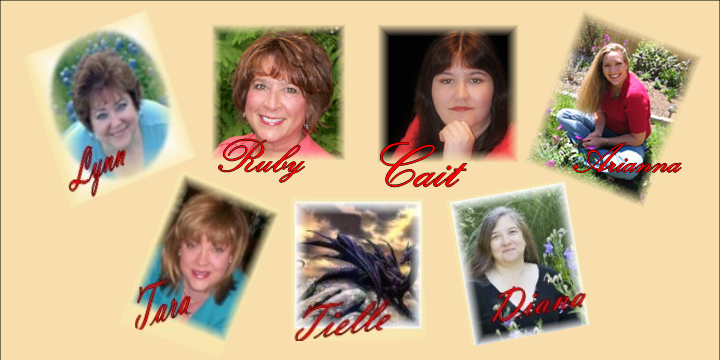 5 Angels and a RECOMMENDED READ From Fallen Angel Reviews!